New Delhi: In an attempt to appease states on how they can use power generated within their domain, the Union government will come up with a policy where power distribution within the area where a project is set up will be managed by the generation company itself. The move comes as conflicts between power generation companies and local needs for the same power have increased over the years. “Our PSUs (public sector units) take land, water and what do we (government) give back in return?" asks Jairam Ramesh, minister of state for power and commerce. “We will introduce this as a policy for all our PSUs. The first right of the unallocated quota from a power project should come to the nearby area. The government has already identified NTPC Ltd’s power project at Kahalgaon in Bihar as a test project where the PSU will distribute power to the residents within a 10-15km radius. 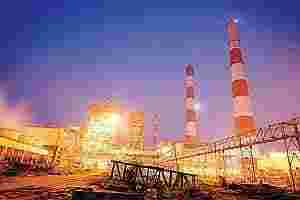 NTPC is very happy as it will improve their relationship with the state government." . Changing tack: NTPC’s plant in Unchahar, Uttar Pradesh. The company’s entry into distribution will be significant, given that it has a generation capacity of 29,144MW and plans to increase this to 50,000MW. Mint had reported on 24 January that, following a citizens’ agitation in Bihar and the state government’s promise to look at the privatization of the state’s electricity utilities, NTPC was showing interest in managing power distribution as well. NTPC has two plants in Bihar but these are not owned by the state government and their output can only be accessed indirectly by Bihar from a central pool. Bihar has a power generation capacity of 584MW, compared with a demand of around 1,400MW. The deficit is made up by accessing the central pool. “We are ready to move into power distribution, provided we are issued a power distribution licence by the Bihar State Electricity Regulatory Commission," said T. Sankaralingam, chairman and managing director, NTPC. The NTPC move is also expected to bring relief to the residents of the Kahalgaon area, where three people died in a violent confrontation with police over power supply issues in January. “This move will immensely help us in easing the tension in the area. Once the policy comes into implementation, it will also help other states where power projects are being set up for which land and water has been provided by the states," said Akhileshwar Giri, divisional commissioner, Bhagalpur. NTPC’s Kahalgaon project has an installed capacity of 1,340MW and additional units are being set up to take it to 2,340MW. NTPC has already formed a distribution arm, NTPC Electric Supply Co. Ltd. It had previously planned to set up distribution networks in Kanpur and Mangalore. Neither project, however, has come about yet. “This development will also help NTPC to acquire the power distribution skills under the garb of corporate social responsibility," notes Anish De, CEO at Mercados Asia, an energy consulting firm. Analysts say NTPC’s entry into the distribution business will be significant, given the fact that it has a power generation capacity of 29,144MW and plans to increase this to 50,000MW by 2012.